Bacaro L.A. is a wine bar located in Los Angeles CA. 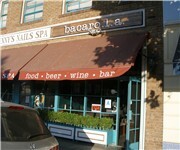 13 Comments about Bacaro L.A.
How Would You Rate Bacaro L.A.? Wine spots near Bacaro L.A.